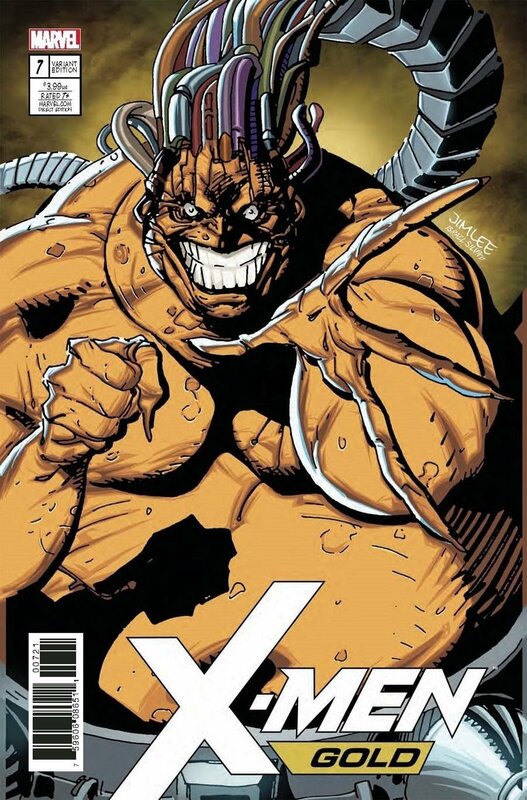 Click Here To See X-Men: Gold #7 Comic Book! Not many times in your "LIFE" will you have an opportunity to purchase a Jim Lee X-Men COVER for under 5 grand.....UNTIL NOW! Check out this very nice cover, which was penciled and inked by the great JIM LEE! This nice cover features MOJO in all his ugly glory! In this Jim Lee SECRET EMPIRE TIE-IN, When Manhattan is besieged, the X-Men open their doors and repurpose their school as a safe haven for any human or mutant in need of sanctuary. But little do they know that one of the humans they've welcomed in is the all-new X-CUTIONER! And he's about to make the Xavier Institute the last place mutants want to be... 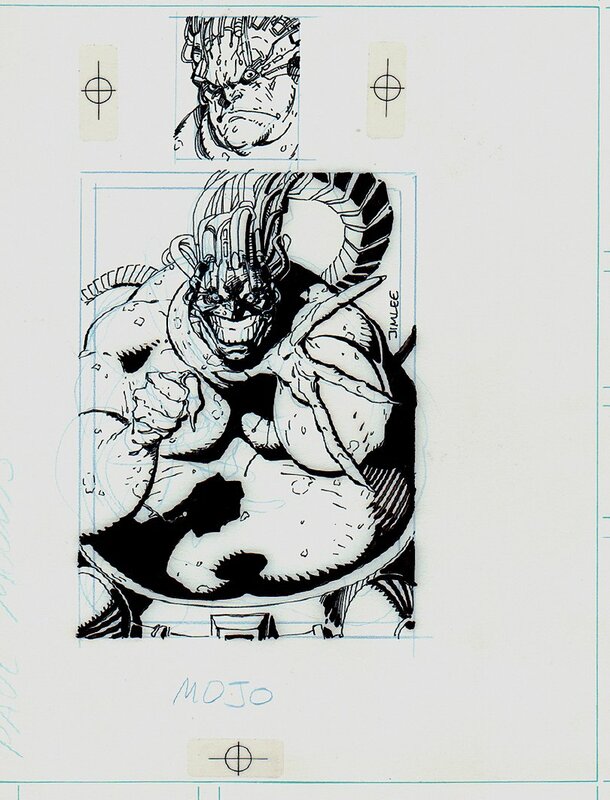 This art was originally drawn as the front and back for an X-Men card and used AGAIN as the front cover for X-Men Gold #7! Just a great piece here! art area measures 4.5 by 8 inches tall on 8.5 by 11 inch Marvel art board. The actual comic book is included with this great artwork. Compare this nice cover art to the published comic book in the red link above! ALL art on our website (including this one) are able to be purchased with VERY fair time payments, and trades are always considered towards "ANY" art on our website! Just send us an email to mikeburkey@aol.com and we can try to work something out.